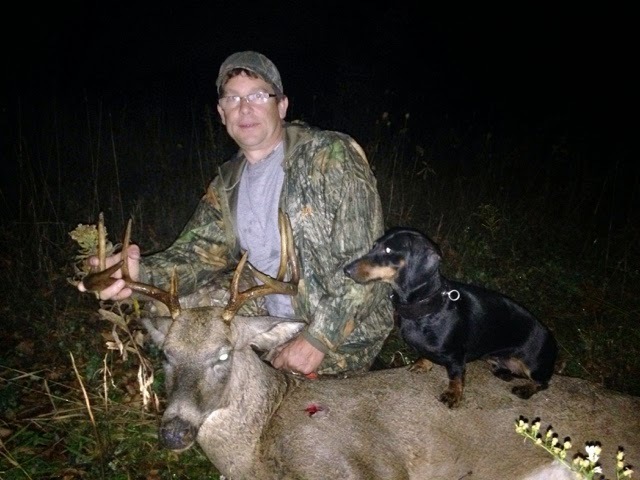 Scott LeFevre made a quartering to shot on this dandy 9 point buck. 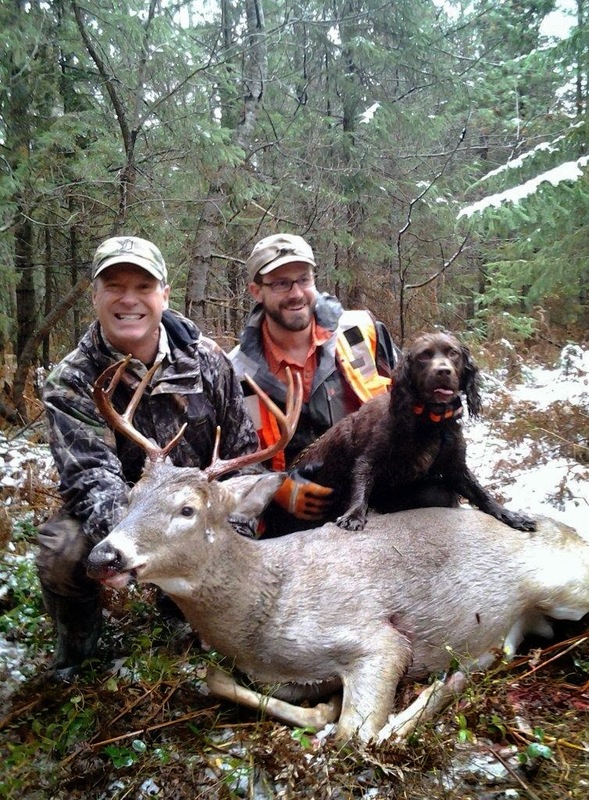 With a bolt covered in crap and no blood trail Scott elected to use a deer tracking dog. 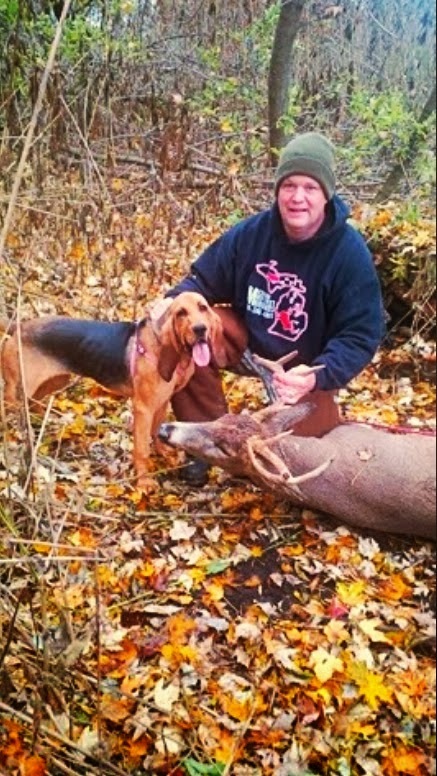 He saved Rob Miller number off of the Michigan Sportsman Forum. A call was made and details figured out and Rob was their 3 hours after the shot. Sypris found the buck in 10 min. The blood trail was sparse and the tall weeds made it difficult to see blood. 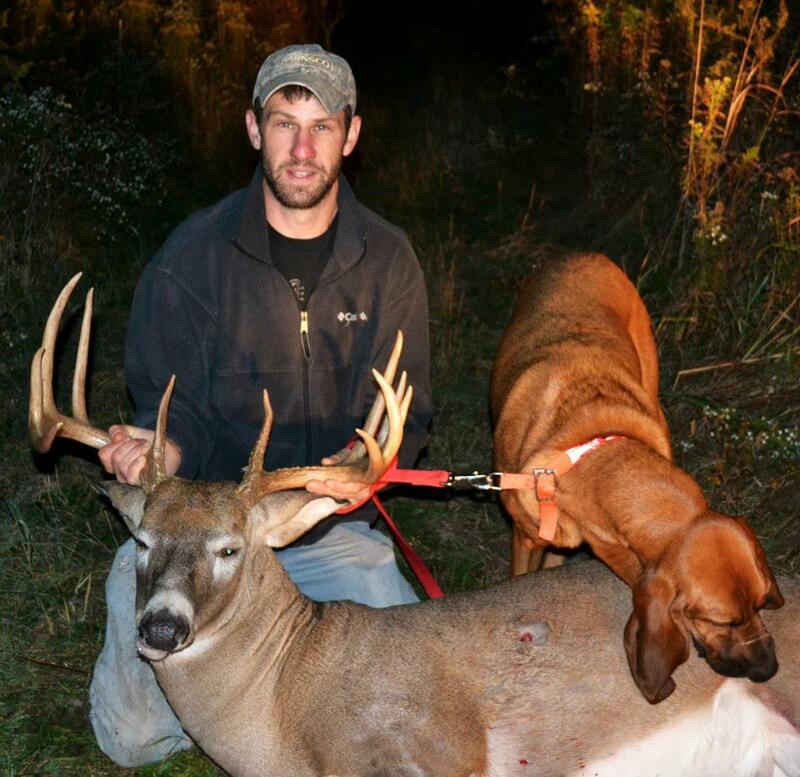 The buck ran 200 yards and died in Scott's pond. 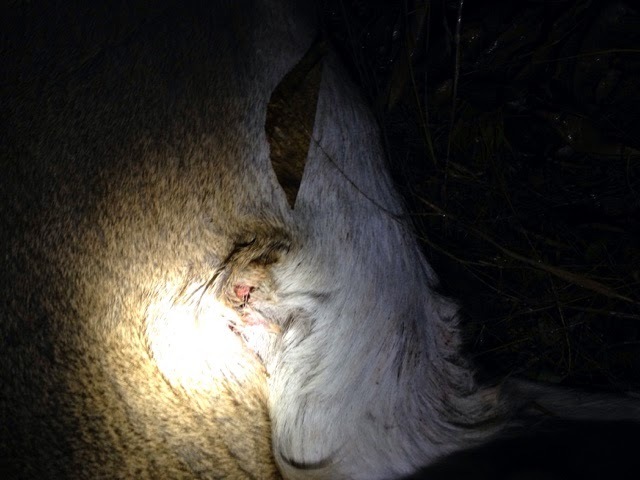 Scott elected not to track his buck because the sign on his bolt didn't look good. 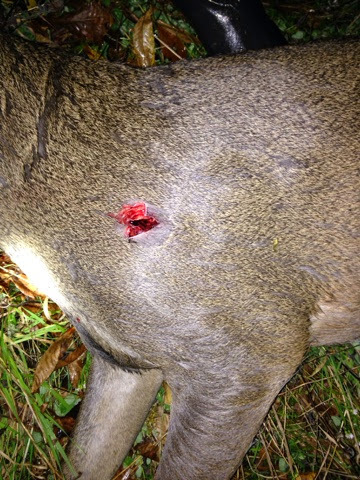 Scott would not have found him the night he shot the buck do to a sparse blood trail because the bolt exited the guts. However during daylight he would have eventually found him. It was vital we tracked him the night of because it was so warm out.